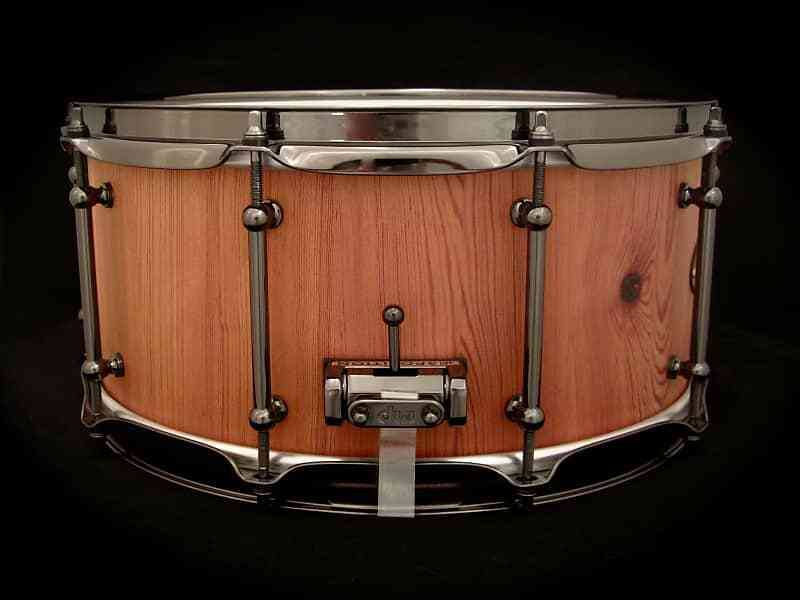 This Woodland Percussion 14"x 6.5"x 5/8" Stave snare is constructed of solid Reclaimed Heart Pine. 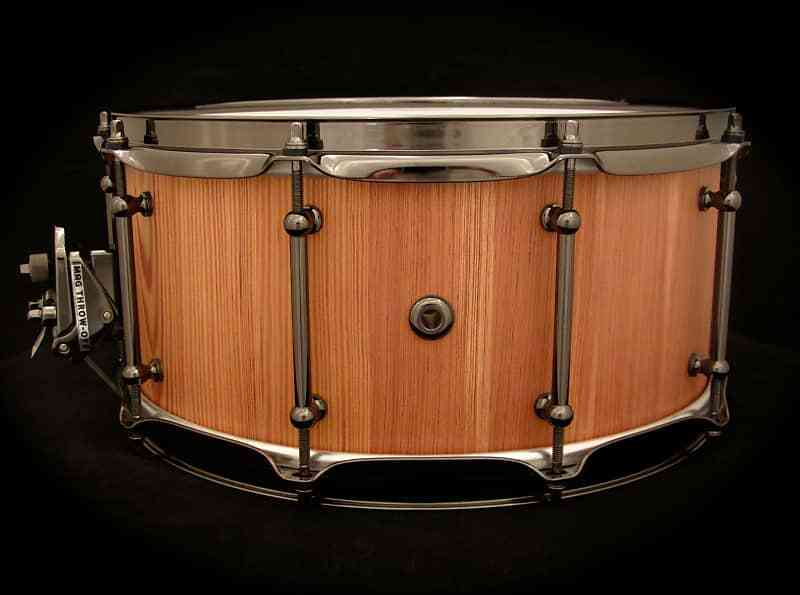 Drum shells made from Heart Pine reflect the character acquired from years of exposure to various elements. 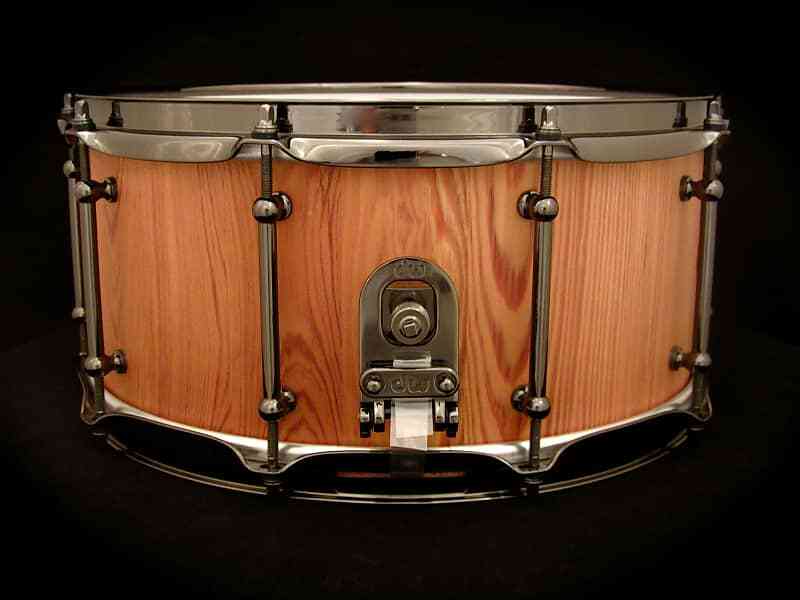 The natural blemishes within the wood are meticulously incorporated into each drum without compromising the integrity of the shell. 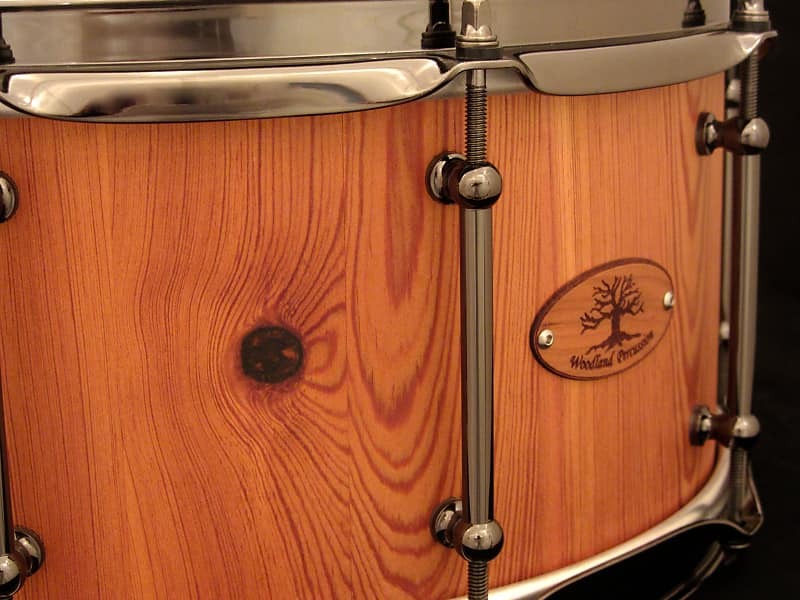 Heart Pine's tonal qualities vary dependent on the natural resin content of the wood, but tend to provide wonderful tonal clarity with precise sensitivity even when played with the softest touch. 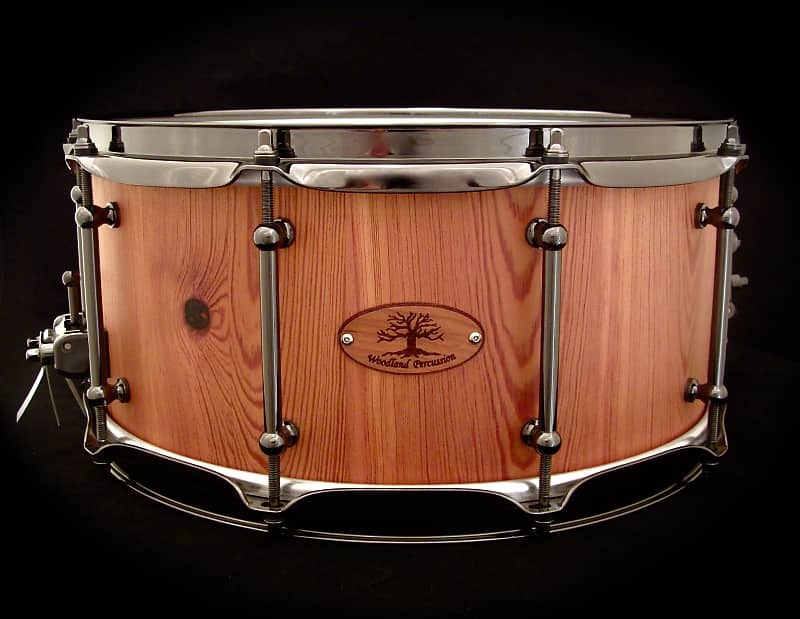 Woodland Percussion prides itself in the attention to detail incorporated in our handcrafted stave snare drums. Stave drums are designed specifically to resonate and vibrate as naturally as possible, creating rich tones and strong projection. 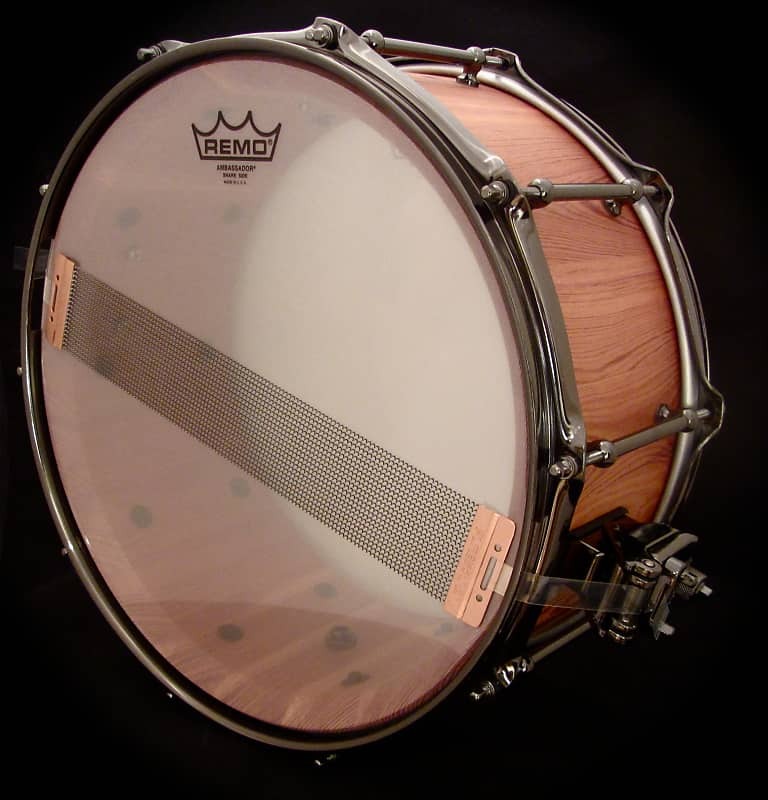 This process is unlike typical modern drum shells, fabricated with either ply construction (thin sheets of wood bonded with glue and pressed into a cylinder) or steam bent (a single piece of wood heated and curved under stress). Stave shells consist of vertically oriented blocks that are beveled and glued to create a cylinder. Allowing the grain to run in its natural direction and the staves bonded without any unnecessary stress plays a significant roll in achieving this superior sound. Based on purchase price of $799.99 at 10% APR for 12 months. Excludes tax and shipping fees, to be calculated at checkout. Rates range from 10-30% APR. Choose from 3, 6, or 12 monthly payments.